From January 25th – 28th the Asheville Racquet Club hosted the Southeastern Indoor Championships, a USTA/Southern sanctioned tournament. 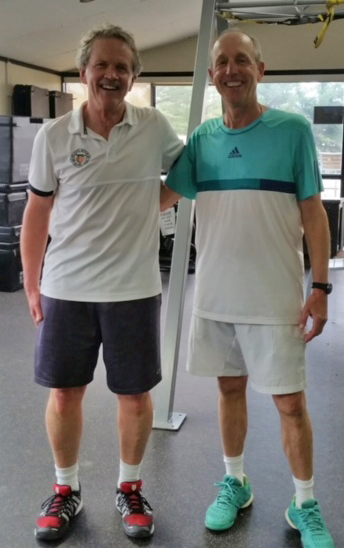 125 players from across the section participated in 22 divisions, including The Reserve’s Director of Tennis, Mike Lissner, in the Men’s 65-over division. Unseeded, Mike opened up on Friday with a 6-2 7-5 win over Doug Eller from North Carolina. In Saturday’s semi-final Mike defeated the tournament’s #1 seed, Dean Dunlavy from Pike Road, Alabama, 6-2 6-2. In 2017, Dean was ranked #2 in the Southern Section and #27 nationally. On Sunday Mike captured the title with another 6-2 6-2 win over #2 seed and the nation’s 23rd ranked player, Chuck Maland from Knoxville, Tennessee. The final was a hard fought match that featured many extended points. In the end, the difference was Mike’s ability to successfully attack on short balls as well as his solid serving throughout the tournament. Congratulations to Mike Lissner on a very nice performance!